This learning package focuses on teaching students the skills they need to effectively rent a place. 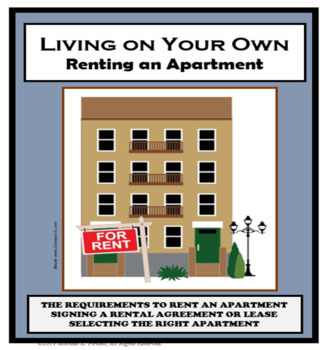 •	Define Landlord, Tenant, Security Deposit, and Rental Agreement. 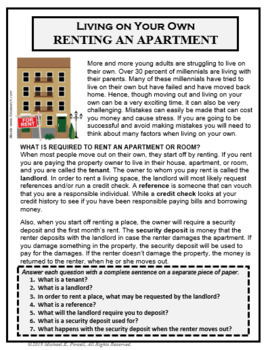 •	Identify the requirements to rent an apartment. •	Explain what is included in a rental agreement. •	Read and analyze a rental contact. 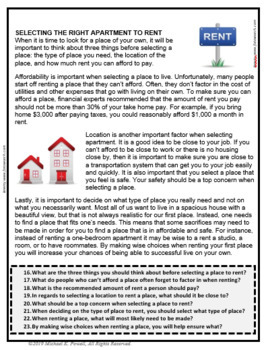 •	Describe what should be considered when selecting a place to rent. 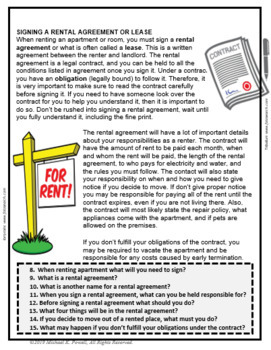 4)	Analysis of a Rental Agreement Worksheet. 5)	Assessment: multiple choice, true or false, and fill-in.